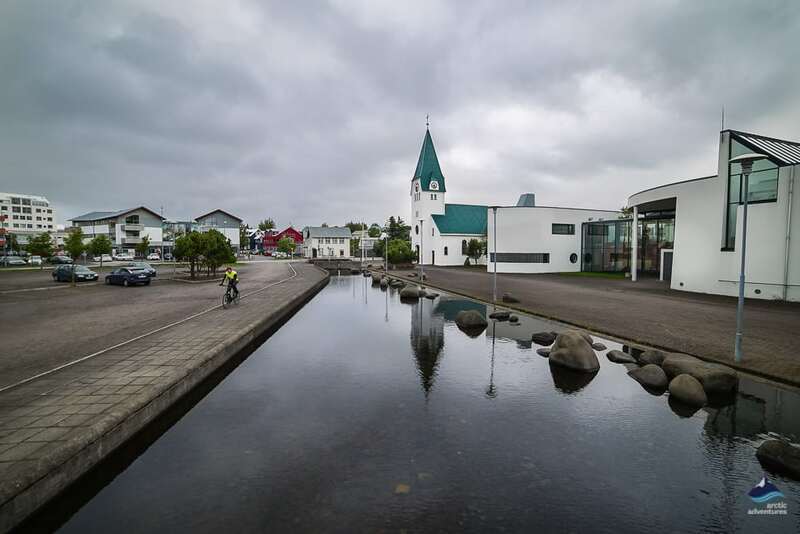 Hafnarfjörður Iceland’s third-largest town is a small port town that is located 10 km (6 miles) southwest of Reykjavik with more than 29,000 inhabitants. The robust harbor culture has been nurturing the diverse municipality since the 14th century. 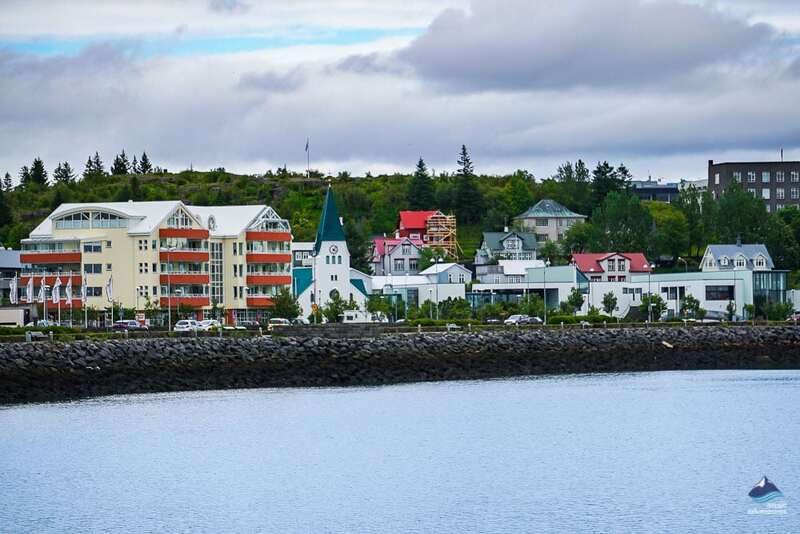 The town’s name literally means harbor fjord and is a part of the Capital Region, Hofudborgarsvaedid in Icelandic. 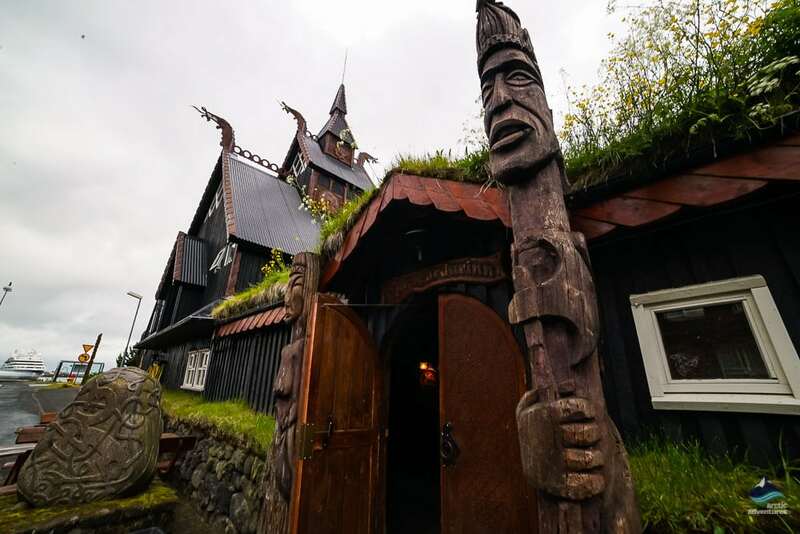 Where to stay in Hafnarfjordur? 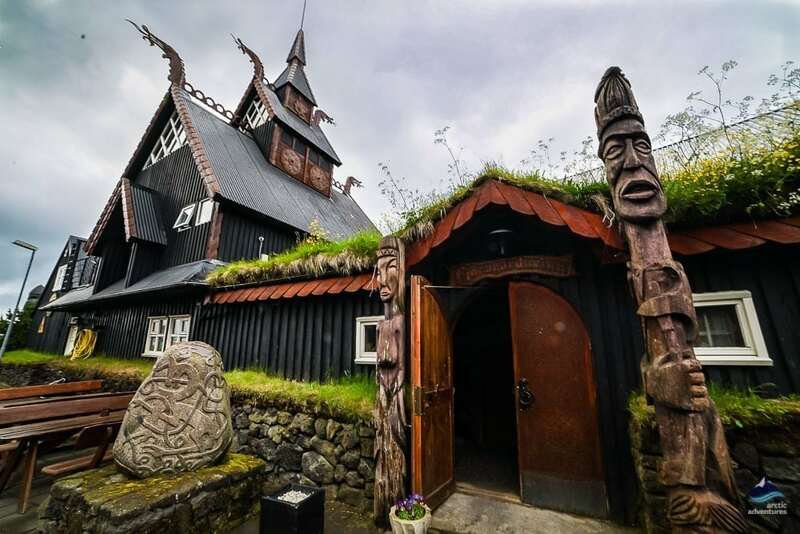 Hafnarfjordur, the town of Elves and Lava and often referred to as the center of modern Vikings is yet an artsy hipster paradise located in the middle of a lava field. 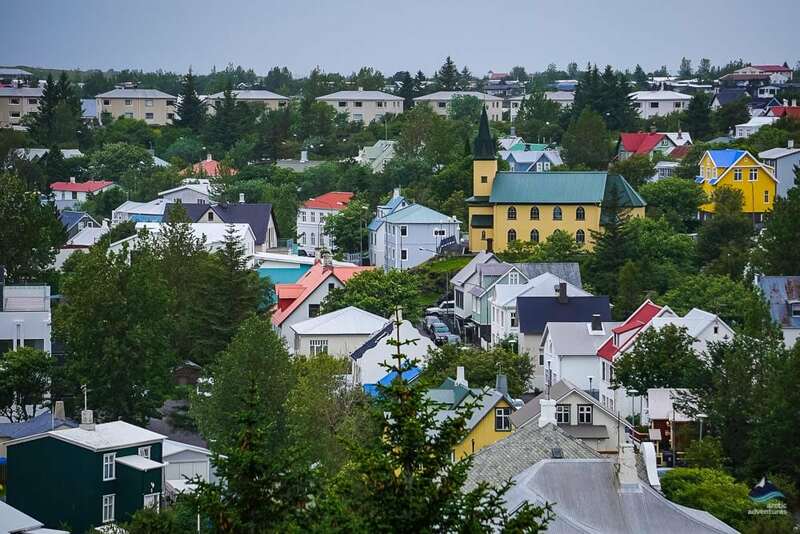 This colorful and authentic town is a much visit for anyone looking to experience the true “norm” of living in Iceland and enjoy a few peaceful and slow-paced days. Hafnarfjordur was built on lava and is surrounded by lava fields. The early settlers came to this area with great determination to find and live a good life. 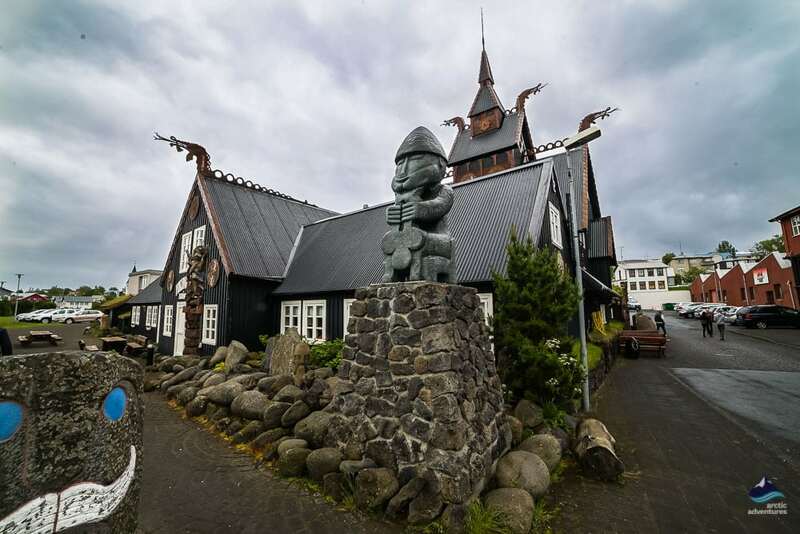 They made their living through fishing and merchandising and the closeness to the ocean lead Hafnarfjordur to become a major trading center in Iceland and many actually dreamed of Hafnarfjordur becoming the capital of Iceland. 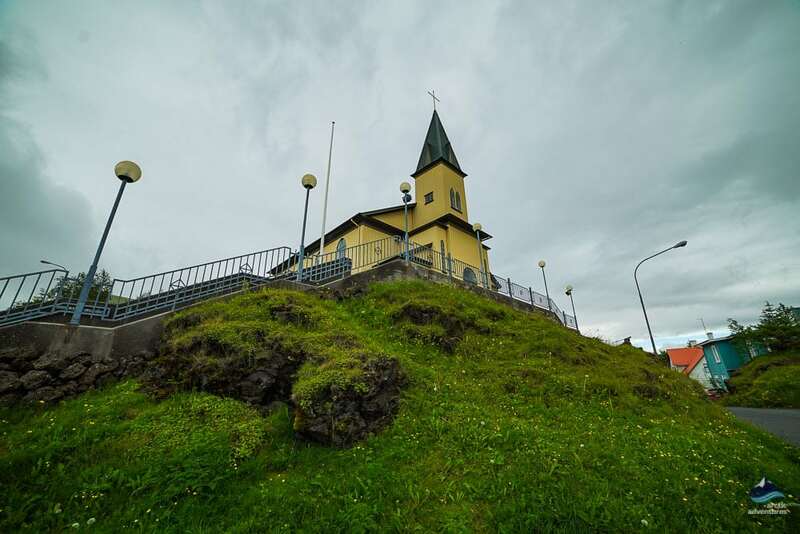 Hafnarfjordur has always been recognized for its unique center and rich art scene and many artists move to Hafnarfjordur to find peace and inspiration. The colorful houses in Hafnarfjordur make the small town life warm and vibrant and just by wandering the streets, you can feel that the small town has a pretty strong pulse. 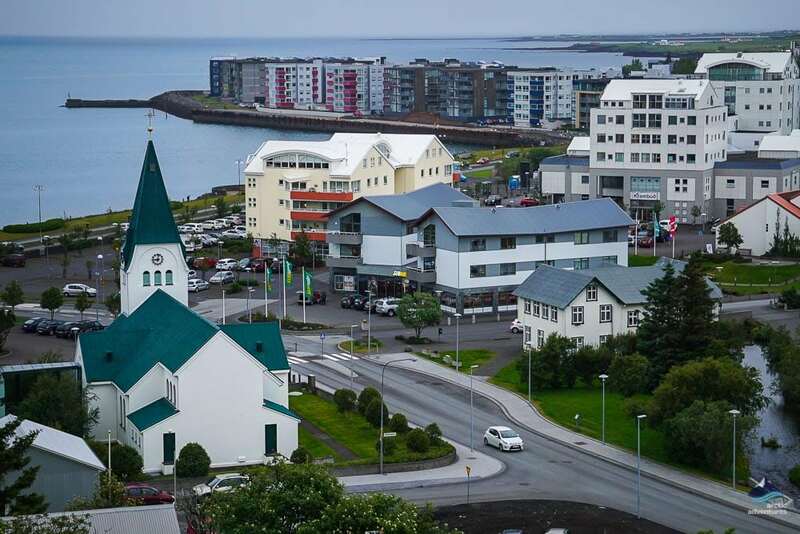 With the 20th century came advances in technology and Hafnarfjordur has since been looking for new ways to prosper. In current times tourism and aluminum production are both important to the local economy. Besides the rich cultural heritage, Hafnarfjordur also hosts copious natural wonders and it is close to many attractions. 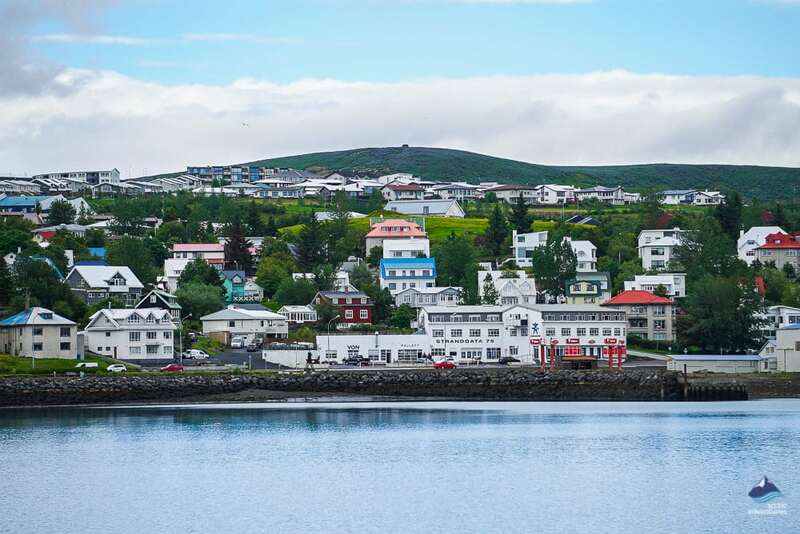 According to the locals, Hafnarfjordur is sitting on a 7300-year-old lava flow that hosts a parallel universe of elves. 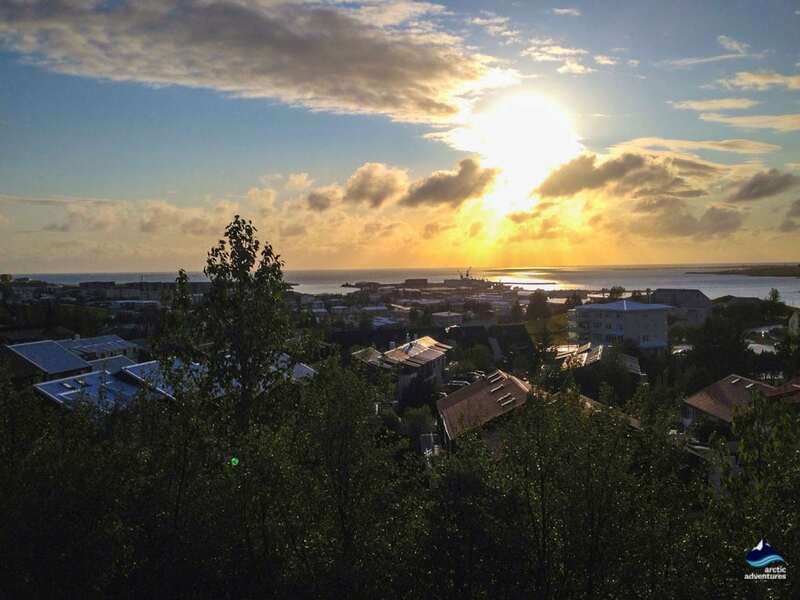 Mysteries aside, Hafnarfjordur is indeed a land of hidden gems and untainted nature. The town offers endless activity and sightseeing options. The Harbor in Hafnarfjordur. Hafnarfjordur is known for its harbor, hence the name. It is a lively place with people from all over coming to look at the majestic ships, talk to the sailors and just generally enjoying the view. It isn’t one of those industrial dirty harbors, it is a place of great charm and the walking paths around it should be in your list. The view from Hamarinn (where Flensborg College sits). 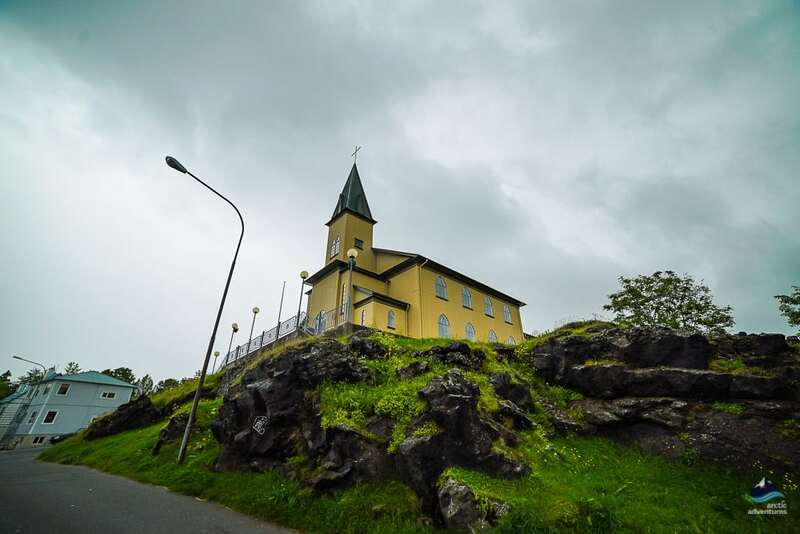 A high lava cliff rises from the center of the town and is called Hamarinn. Every year the place a Christmas tree on top and light it up for the town to see but in between trees it is also just a fantastic location to visit. The walk around there will show you small, colorful corrugated iron houses and once there the view that awaits you is simply stunning. The old charming houses around downtown, in Norðurbær. Stroll around the houses that look like they were just randomly dropped into the streets in all their colors and flare. Oh, if those houses could talk! Type in Hellisgerði or Merkurgata into any of the map programs you have or simply pick up an old-school paper map the houses around truly capture the “true and old” Icelandic house. 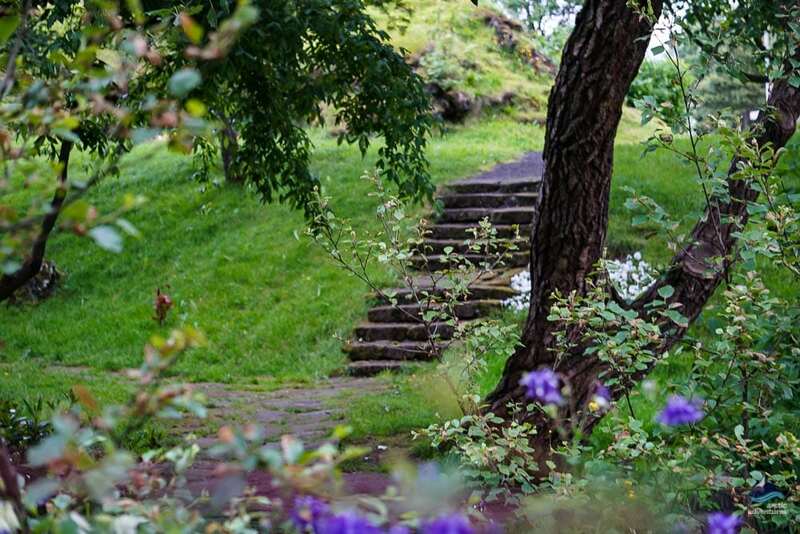 Hellisgerði Botanical Garden. For those who believe in elves, lore says you can see the hidden people there. 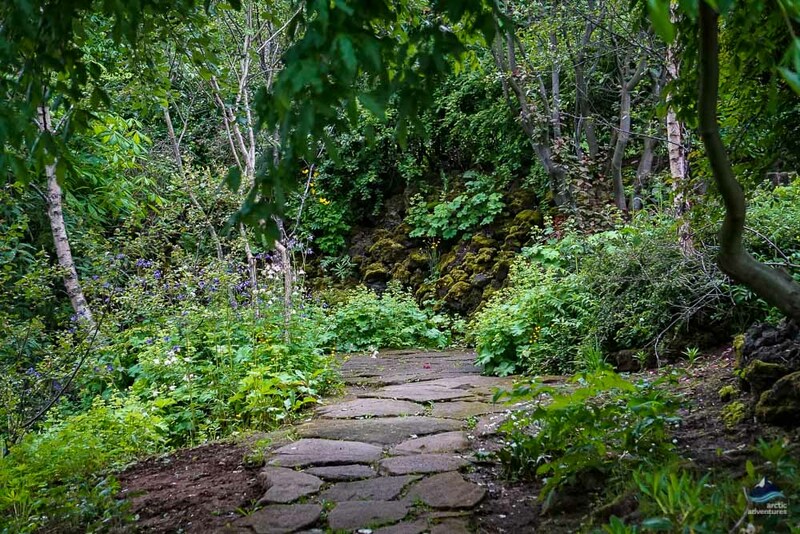 This place is perfect for a picnic and a stroll around beautiful flora. A small café is located in the garden. Ástjörn lake. Between the hiking paradise of Ásfjall and the Sports Center of one of Hafnarfjordur’s team Haukar you will find Ástjörn Lake. 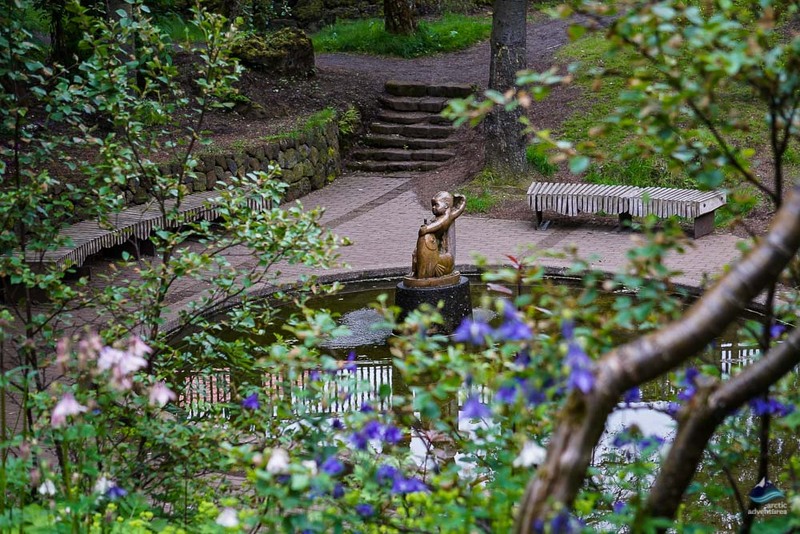 This beautiful location has a walking path going in a circle around it and a vivid birdlife. The rare bird Flórgoði (The horned grebe or Slavonian grebe) lives there in the summertime and carries its babies on its back around the lake, this is very likely to be the cutest things you will ever see. Seltún-Krýsuvík Geothermal Area is Hafnarfjordur’s precious jewel hidden in its outskirts. There you will see maroon rocks, steel blue boiling mud pits and steaming hot springs constructing a breathing panorama under your eyes. Lake Kleifarvatn glistens in silver not so far away. The green lake Grænavatn is perching at the foot of the hill like an emerald embedded on the desert-like land. Just always remember to follow the paved road and look up to the signs. The drive to this area is about 20-25 min out from Hafnarfjordur’s center. 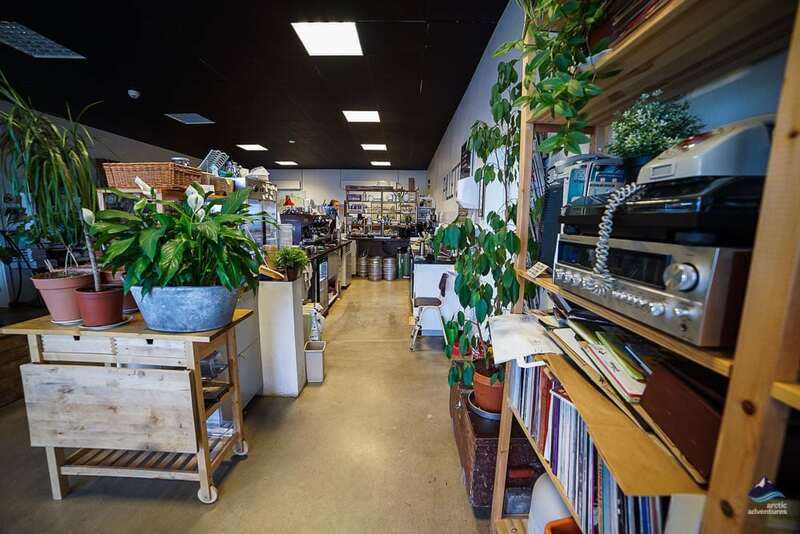 A series of events and activities in or nearby have set the adventurous tone for this port town. Horse riding is popular and a must-try item when you are in town. Hafnarfjordur is a major riding area for Icelandic horses. This vintage traveling method will take you in the beautiful nature where you can’t get in by other means. The best route for horseback riding is in Mt. Helgafell area. 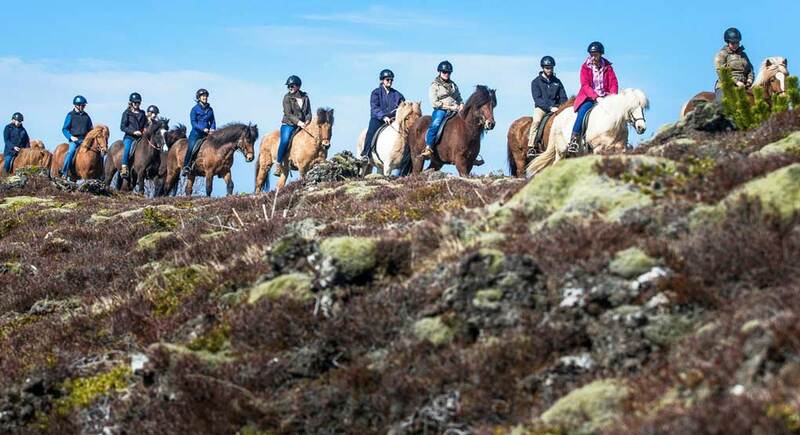 You will see one of the few forests in Iceland and ride endless moss-covered lava fields on a horseback. Visitors usually take advantage of the closeness between Ishestar Riding Center and Leidarendi Cave by signing up a combo day tour of fascinating caving and exciting riding adventure. Join one of the festivals Hafnarfjordur has to offer. The Hafnarfjordur Viking Festival is a famous summer event in the town. Every June, people gathered around dressing like old Norse heroes, sailors or people in Middle Age. They spend four exciting days every year setting up the market and showcasing the Viking culture and food. The convivial vibe attracted both locals and international visitors to experience the fun renaissance. Many other festivals, including Christmas Village in December and Festival of the Sea, the first Sunday in June, are a delight to join. Be sure to mark the day if you want an authentic taste of Iceland. Join popular day tours. 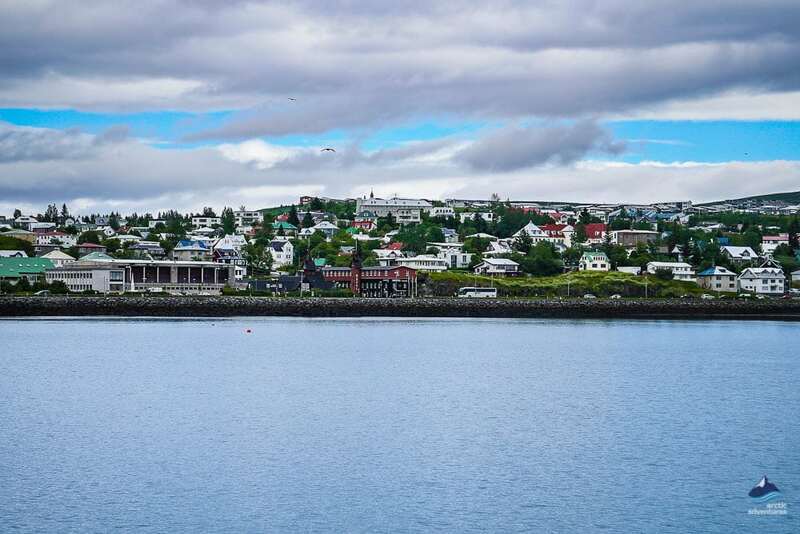 Since Hafnarfjordur is an essential part of the capital region, not only it has plenty to offer itself, it also serves as a hub where travelers can go to the Golden Circle attractions or take a food walk in Reykjavik after only a short drive. Hafnarfjordur is also a hiker’s paradise. You can easily choose from walking around lakes like Ástjörn or Hvaleyrarvatn or challenge yourself a little more on one of the closeby mountains such as Mt. Helgafell. It is not a very difficult hike, without too much elevation gain, but is pretty steep. It is very popular among local hikers and joggers. The view on top is outstanding and there is even a guestbook! You can see the coastline when the cities light up in the sunset hours. Another smaller mountain to hike is Ásfjall, this is an easy hike to make but the view is well worth it! Visit the Blue Lagoon – This famous bathing paradise is located only a short distance from Hafnarfjordur about 23-30 min away and could make for a perfect activity when exploring the Viking Town. Truly a bucket list material! 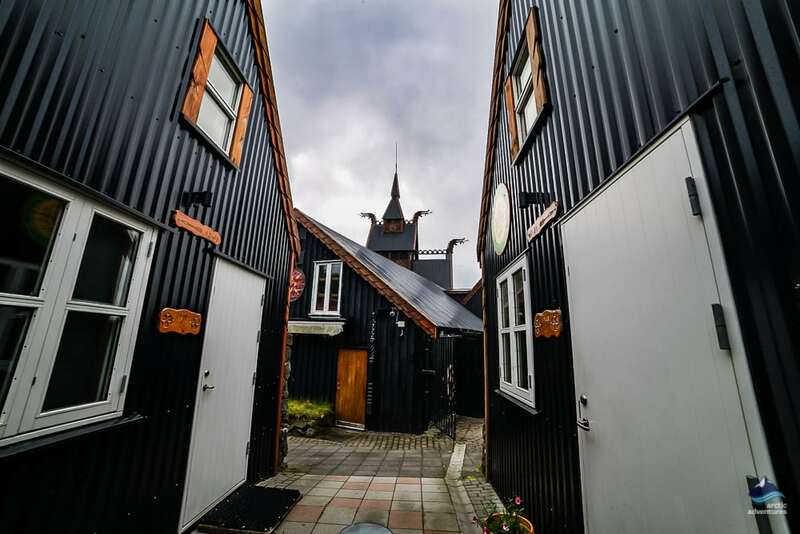 Visit the Sívertsen House / Museum – The oldest house in Hafnarfjordur and an extraordinary museum that shows you just how the upper class lived in Iceland in the 18th century. A true must visit for history buffs. 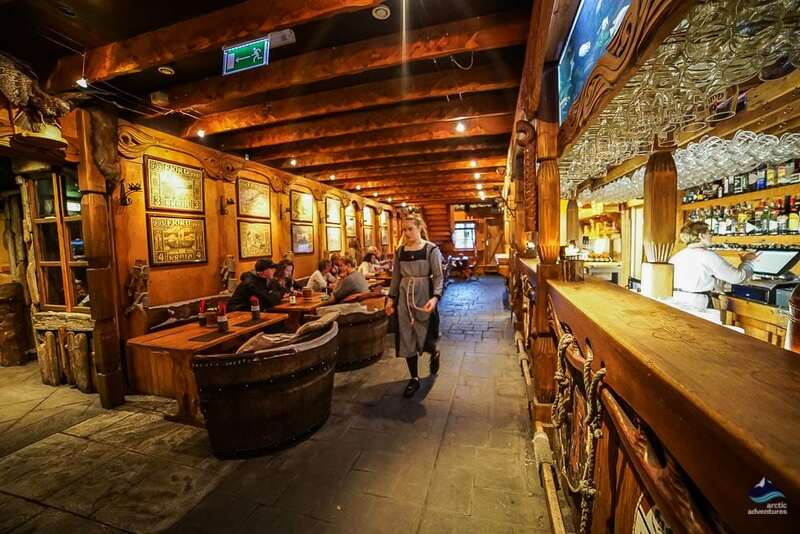 The Viking Village restaurants, where you can get authentic Icelandic food such as Kjötsúps (meat soup) and all sorts of meat, fish, burgers, pasta and other delicious dishes. 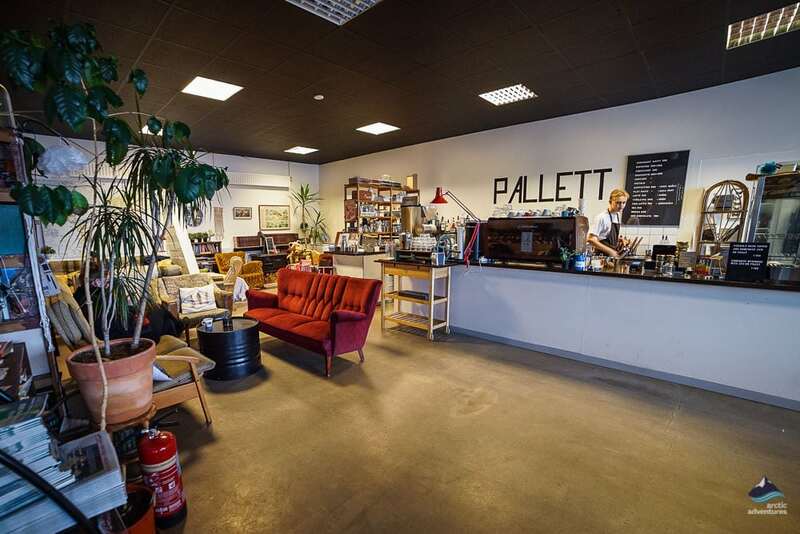 One of the newest restaurants and bar in the Hafnarfjordur food scene. The chef bailed on the busy downtown life and started this amazing place in central Hafnarfjordur, the locals are loving it. Something for everyone, meat, fish and veggie options! One of the oldest restaurants in Hafnarfjordur (probably even Iceland) known for amazing fish meals. Always fresh, always of great quality and always a classic! One of the town’s oldest. 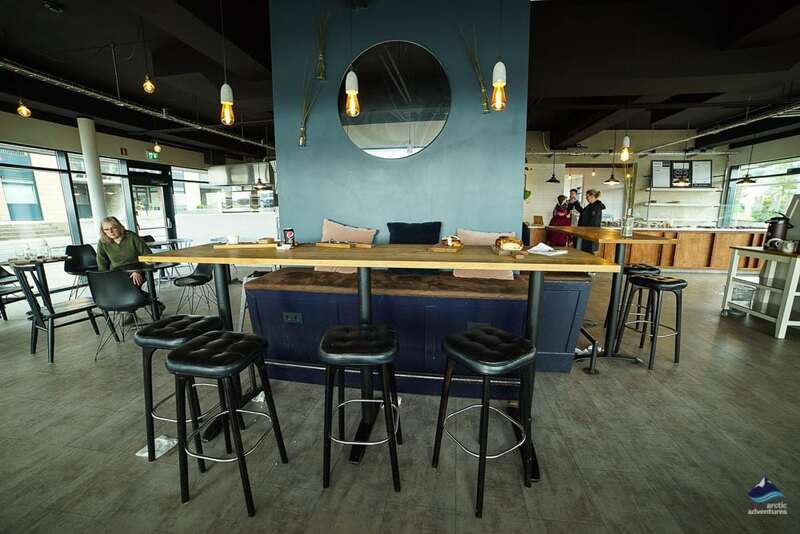 Great for trying authentic Icelandic meat options such as Icelandic horse, Icelandic lobster and minke whale. 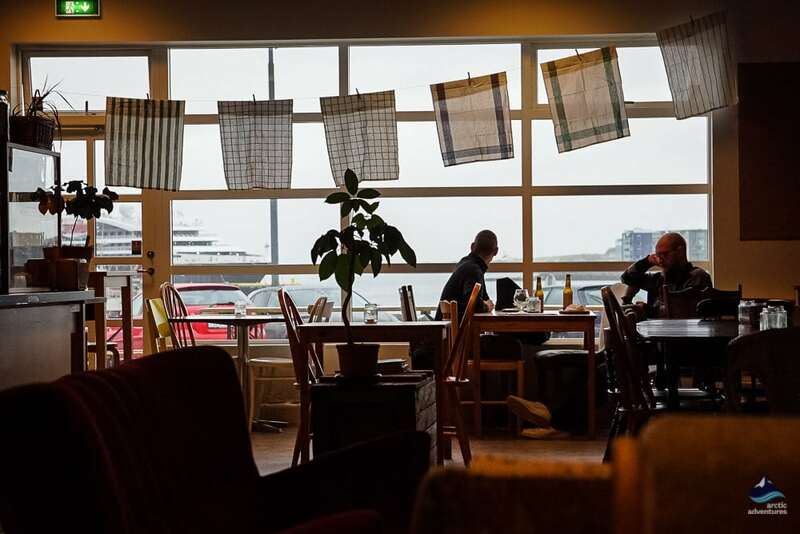 If you are heading to Keflavík, Reykjanes or just generally in the mood for Asian this place is a great stop. Their Pad Thai is to die for. The burger joint of Iceland and one of their shops is luckily located in Hafnarfjordur, a must for any burger lover. 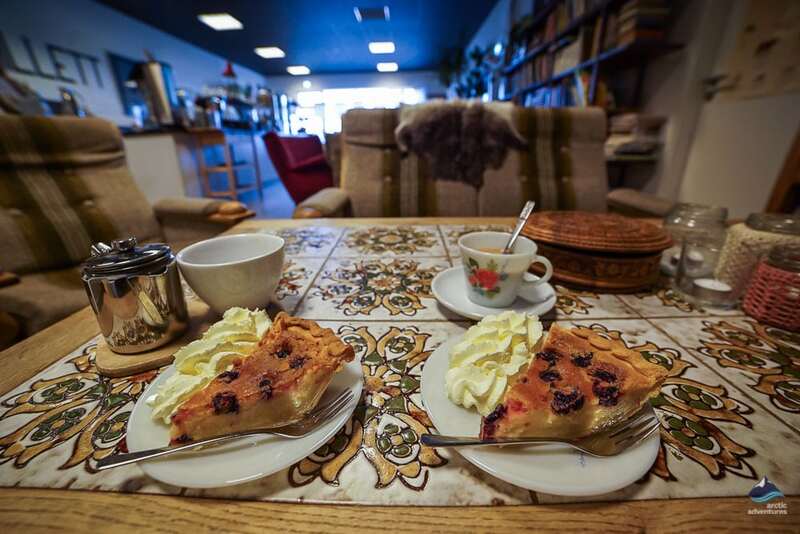 Great coffee and great cakes, right next to the Sivertsen House museum a great combo. This sourdough paradise is easy to highly recommend. This place is perfect for breakfast or lunch and the view is amazing. Their price is also fair! 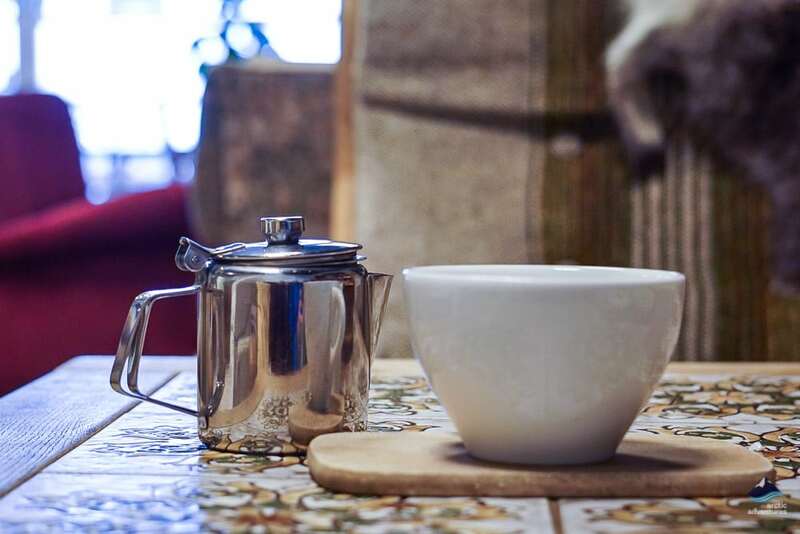 Quality Coffee and the most relaxed atmosphere you will find, a true hipster paradise. Their scones are otherworldly. Many wanted Hafnarfjordur to become Iceland’s capital. In the 70’s Hafnarfjordur used to have a Zoo, with monkeys, polar bears, snakes, lions and more exotic animals. 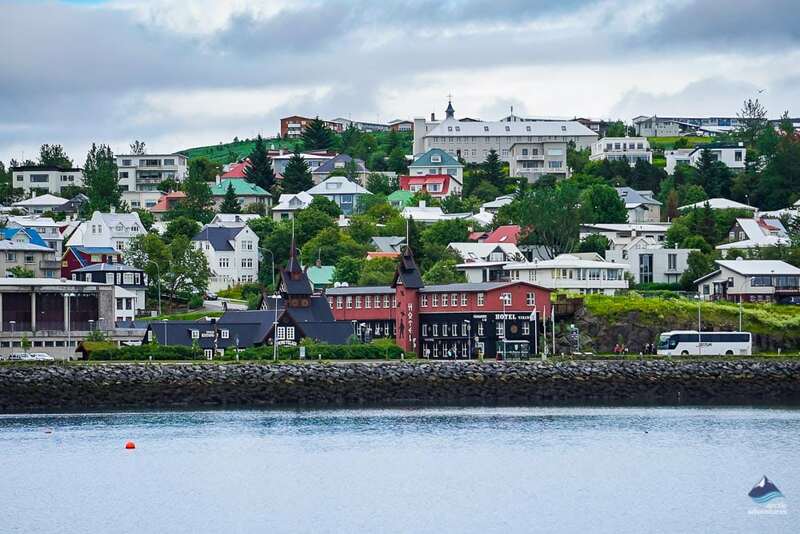 Hafnarfjordur is both known to be the town of Vikings and the town of Elves! Hafnarfjordur has two main sports team Haukar and FH and the rivalry is an ongoing tradition in the town. Haukar dress in red and FH in black and white. 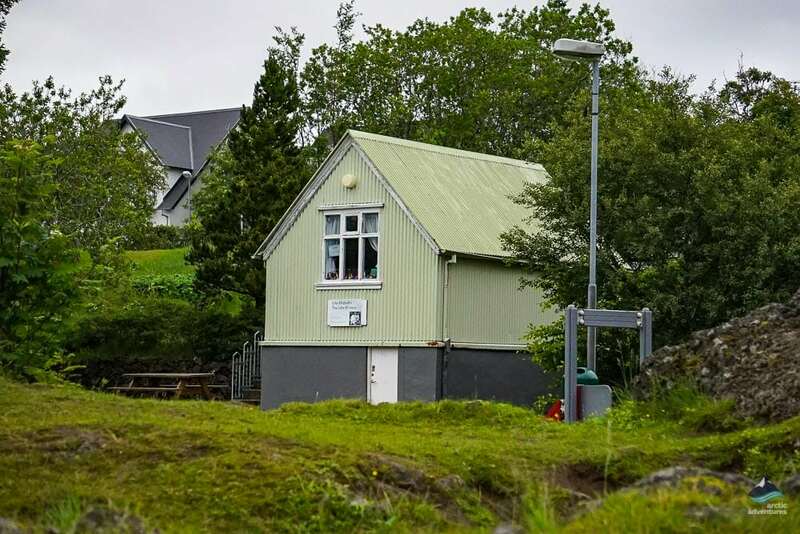 There are plentiful accommodation options in Hafnarfjordur. 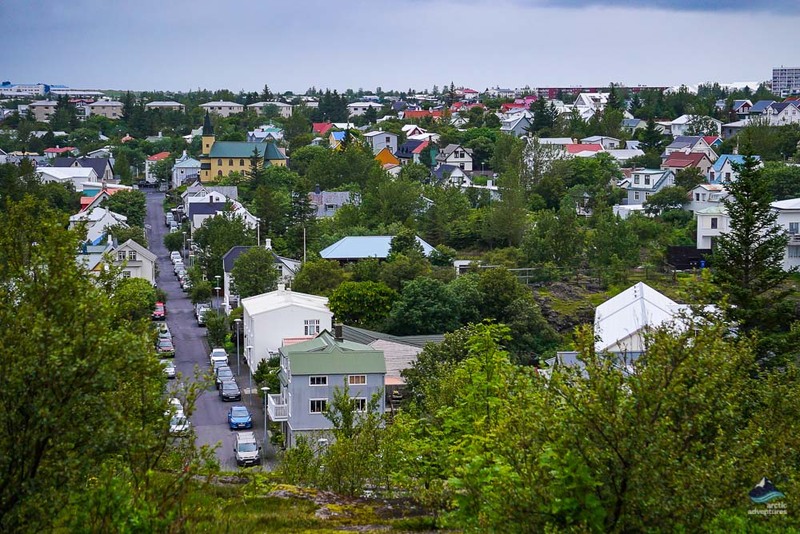 The town spreads wide and far over the lava field it was established on, and each part of town has its own charm and character. 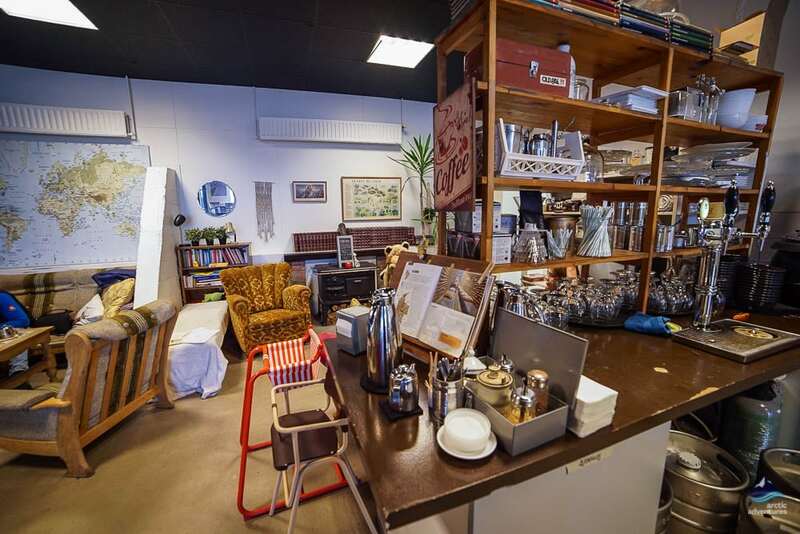 If you are staying in an Airbnb, have a house exchange deal or have booked a guesthouse anywhere is lovely if you have a car or a way to get around. The public bus system inside Hafnarfjordur isn’t the greatest BUT if you are planning on using it, it is important to stay near the S1 line. 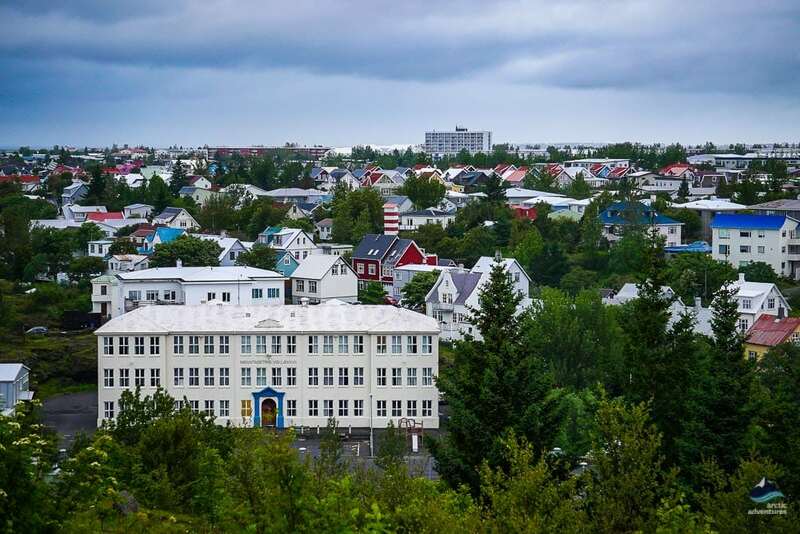 The area closest to downtown Hafnarfjordur, where the museums, restaurants, shops, and cafés are located is in postal code 200, Hafnarfjörður also has postal codes 221 and 222. So, we would recommend trying to stay in 220. Trot, gallop, and tölt through a volcanic moonscape, then step below the surface into a hidden world of lava caves!